The mission of HH6 is to connect caregivers of US Veterans with the essential resources needed to strengthen the family support foundation. Our goal is to build resilient households by focusing on the well-being of the family, helping to alleviate household tension, and empowering caregivers and children. Our Caregiver Case Managers consist of experienced caregivers and family advocates that can provide reputable resources and assist you through hardships. We have conquered medical evaluation boards, VA claims, transition, public assistance, nonprofit assistance, domestic violence and caring for our own wounded veterans. Although Caregiver life can feel lonely, you are not alone. Hope Therapy is a 501 c 3 non-profit program (CFC# 33731). Our program uses a form of therapy that assists children and adults with special needs utilizing the help of horses. Hope Therapy was established in 2001 by the mother and daughter team of Marianne and Rebecca Davenport and is the only therapeutic riding program in northeast Florida that has been accredited through PATH (Professional Associa]tion of Therapeutic Horsemanship International) and has been since 2004. Hope Therapy’s Horses Helping Veterans program is extremely important to us because we are veterans ourselves. Hope Therapy’s dad Jack Davenport served as an Army Medic in Vietnam. Hope Therapy’s mom Marianne Davenport served as an Army Nurse, Hope Therapy’s Rebecca Davenport served her time as the daughter of two veterans, and Hope Therapy’s Program Director Laura Brown served as a Naval Aircrewman. We want to support our military family the best way we know how, with the help of our amazing therapy horses! In return for their service and sacrifices made for our country, American Freedom Foundation (AFF) believes Veterans, military service members, and their families are deserving of support that empowers and enables them to lead confident and productive lives. They do that through the American Freedom Festival concert series which has raised in excess of $1.2 million dollars for military focused charities across the country. In addition, through the AFF Warriors To The Workforce hiring and training workshops events, thousands of Veterans, transitioning service members and military spouses have engaged with hundreds of military friendly companies for jobs. Further, the AFF/Kaplan University Military Family Scholarship program has awarded over 1,200 scholarships to military spouses and dependents in all 50 states, 8 countries and 150 military installations around the world valued at approximately $9.2 million. For almost 30 years, Freedom Service Dogs has rescued dogs from shelters, and custom-train them to become service dogs, giving them to clients on our waiting list at no charge. Clients include children, veterans and active duty military, and other adults. Their disabilities include Autism, Traumatic Brain Injury, Cerebral Palsy, spinal cord injuries, Muscular Distrophy, Multiple Sclerosis, and Post Traumatic Stress Disorder. We provide people with a lifetime of unique support, companionship, and mobility independence. Operation Fetch performs Planned Acts of community Kindness (PACKS) as they travel. Inspired by rescue dog Gander, saved from a kill shelter, the Operation Fetch PACK and Gander handler, disabled veteran Lon Hodge, pay it forward in more than 30 states a year. Gander was the AKC dog of the year, Rotary International Humanitarian/Patriot Awardee and is a nominee for AHA Hero dog this year. They visit VA hospitals and nursing homes countrywide as Fetch Ambassadors. The Wingman Foundation is a veteran-run non-profit organization dedicated to providing immediate post-mishap support for the Navy and Marine Corps Aviation community and their families. In addition to providing immediate support, we are also proud to ensure our fallen heroes are never forgotten and the loved ones they leave behind are always supported. Navy-Marine Corps Relief Society provides financial assistance and education, as well as other programs and services, to members of the United States Navy and Marine Corps, their eligible family members, widows, and survivors. The Society also receives and manages donated funds to administer these programs and services. The mission of Achilles Freedom Team is to enable wounded veterans with all types of disabilities to participate in mainstream athletics in order to promote personal achievement, enhance self esteem and lower barriers to living a fulfilling life. Air Force Aid Society is helping “to relieve distress of Air Force members and their families and assisting them to finance their education”. It is rooted in the original Army Air Corps and the World War II Army Air Forces, whose members wanted to “take care of their own.” Through the years, AFAS has become increasingly effective in helping individuals with personal emergencies– as well as extremely useful when used by commanders to help solve personnel problems in their units. AER is the Army’s own emergency financial assistance organization and is dedicated to “Helping the Army Take Care of Its Own.” AER provides commanders a valuable asset in accomplishing their basic command responsibility for the morale and welfare of soldiers. The mission of Battling Bare, Inc. is to provide a network of support for the spouses, children and family members who silently struggle to carry the burden of PTSD with their beloved Service Members. By creating a safe place to band together and share our stories, we will raise awareness about PTSD and create positive programs of true healing for families affected. Blue Star Families is a non-partisan, non-profit organization, created by real military families. We are committed to supporting one another through the unique challenges of military service and asking the larger civilian population to help as well, connecting military families regardless of rank, branch of service or physical location, and empowering military family members to create the best personal and family life possible for themselves. Our Combined Federal Campaign Code is 95243. The Mission of the Brave HEART (Heroes Equine Adventure & Riding Therapy) Program is to support those who have served our Country by bringing Service members and their .families together in an environment what helps them reconnect and strengthen family bonds. This program combines the best of a therapeutic riding program, while providing a positive, stress-free and relaxing farm atmosphere. Brides Across America hopes to enhance the lives of military families and express gratitude and appreciation for all serving in our Armed Forces. By working together, were hoping to spread the word to as many military couples as possible and to help create their dream wedding. Camp C.O.P.E. provides military families with an unforgettable weekend at camp. Camp C.O.P.E. gives these children hope and patience and courage. Camp C.O.P.E lets them be just kids- again! Through therapeutic interventions, certified therapists teach children and their families how to cope with their changed world due to deployment, injury or loss of a family member as a result of their service in our country’s military. Camp C.O.P.E. provides weekend camps across the country free of charge to children and families of military personnel. Children of Fallen Patriots Foundation provides college scholarships and educational counseling to military children who have lost a parent in the line of duty . We serve families of all branches of armed forces that have experienced combat casualties, military training accidents and other line of duty deaths. Imagine your loved one graduating from bootcamp with no one there to celebrate with them. Our fund helps family members attend the graduation of their recruit from Coast Guard bootcamp when they could not otherwise afford to attend. 100% of your donations will help a mother, father, grandparent, spouse or sibling attend when no one else will be there. Our goal is that every recruit is represented at graduation. This fund is a 501(c)3 non-profit organization and all donations are tax deductible. The fund is run by volunteers who have children in the Coast Guard. The Code of Support Foundation works to engage and leverage the full spectrum of this nation’s resources to ensure that our service members, veterans, and their families receive the support they need and have earned through their service and sacrifice. Courage Beyond at Centerstone provides confidential, no-cost or low-cost programs and services to warriors and their families facing PTSD and other invisible wounds of military service. They offer a supportive online community, anonymous forums, retreats, eGroups, a 24-hour crisis line, and face-to-face counseling services. The F7 Group Foundation addresses a wide-range of needs for Veterans in the community. Through community based collaboration, the organization brings together tools, resources, and support for Veterans and military families. As the only organization of its kind and a trusted resource for those who serve, the foundation is changing lives and creating a positive community effect on our nation’s future. Fallen Soldier Memorabilia Boxes, Inc. Fallen Soldier Memorabilia Boxes, Inc. is a non-profit organization that accepts private as well as corporate donations in order to serve families of American soldiers killed in action in recent wars. Our national community has shown exceeding compassion for the thousands of people affected by recent violence overseas. The Memory Box Project was created in order to provide these families with a sanctuary for the memories of their lost loved one. All Memory Boxes are hand crafted by David Bouillez and are made with only the finest, high quality American made products. The Memory Box Project has received national recognition in the form of military interest. Over 600 requests have come in for Memory Boxes and fulfillment is strongly reliant on public and private donations. To donate, sponsor a family or request a Memory Box visit us at http://www.memoryboxproject.org/. The Fisher House foundation provides a “home away from home” for military families to be close to a loved one during hospitalization for an illness, disease or injury. Flyin’ Heroes is a program that utilizes the sport of fly fishing to promote therapeutic growth and rehabilitation of U.S. military veterans. The goal of Flyin’ Heroes is to create memorable fly fishing experiences that unlock the healing power of the water and foster lasting relationships. ALL volunteer 501c3 nonprofit “Military & Veterans Service Organization” (MVSO) supporting our active duty military, wounded warriors, homeless veterans, and their beloved pets to ensure the pets are reunited with their owners following a deployment related to a combat or peace-keeping or humanitarian mission or unforeseen medical and/or homeless hardship situation through various programs/services/projects. HeartsApart.org was created to keep families connected while our military men and women are serving abroad. Through the efforts of our community’s finest photographers, HeartsApart.org provides our soon to be deployed servicemen and women with pictures of their spouses and children. The photographs are printed on waterproof and durable bi-folded cards, which fit securely in their uniform pocket. HeartsApart.org believes that our military personnel deserve and need the memory of their families to carry them through the difficult times that lie ahead. The Homes For Heroes Foundation Purpose is to provide and/or coordinate financial assistance and housing resources to the Heroes of our nation such as Military personnel, Police/Peace Officers, Firefighter and First Responders who are in need. Hounds & Heroes is a totally volunteer organization that donates fully trained retired racing greyhounds as service dogs for veterans in need. Hounds & Heroes works exclusively with the greyhound breed due to the temperament of the dogs and their ability to be trained to assist the veterans. All donations to the program go toward the care of the dogs during the program – their food, vet care, heart worm meds and other necessities such as leash, collar and harness. In Gear Career is a nonprofit organization created by military spouses for military spouses past and present. In Gear Career provides a free forum for professional development, community support, information sharing and networking to address the unique challenges faced by career-minded military spouses. K9s For Warriors is dedicated to providing service canines to our warriors suffering from post-traumatic stress as a result of conflicts and war after 9/11. The LCpl Lutz Live To Tell Foundation’s, 501(c)3, mission is to reduce veteran suicide resulting from Post-Traumatic Stress by supporting our military through Buddy Up Combat Outposts (COPs), strengthening community support, & raising awareness about Post-Traumatic Growth. The Lone Survivor Foundation restores, empowers and renews hope for our wounded service members and their families through health, wellness and therapeutic support. Luke’s Wings is an organization dedicated to the support of service members who have been wounded in battle. Recognizing the immediate need for families to be with their loved ones at such a difficult time, Luke’s Wings provides families with the means to visit during the service member’s hospitalization and rehabilitation. By purchasing travel agency services and travel tickets for loved ones, Luke’s Wings provides an immediate and invaluable service to the families of our men and women at arms while also helping to encourage and motivate the service member’s recovery. Marines & Mickey has two missions. The first is to send Marines who have recently returned from an overseas Deployment, Recruiting Duty or the Drill Field to Disney with their families. The second is to assist families who cannot afford to attend their New Marines Boot Camp Graduation due to financial hardships. The Matthew Freeman Project is a not-for-profit charitable organization dedicated to the support of education in order to promote communities of promise, prosperity and peace throughout the US and the World. Our mission is to help Gold Star Families deal with their grief. We create “Matthew Bears” (Matthew 5:4 Blessed are those who mourn for they shall be comforted) from the uniforms of those Killed in Action, killed in training or who have died as a result of the wars. The Captain Matthew Freeman Gold Star Sibling Scholarship was established in memory of Captain Matthew C. Freeman, USMC, and to honor his beloved sisters, Marybeth and Virginia. It is to acknowledge the struggles and emotional pain when dealing with the loss of a sibling through a combat related death. MidAtlantic Bulldog Rescue is run by a military family and assists military families in adopting pets. Volunteers provide a safe and loving home for bulldogs in transition. Ensuring quality educational opportunities for all military children affected by mobility, family separation, and transition. Military Missions exists to support and honor deployed military personnel by sending care packages year round as an expression of appreciation and gratitude. We go beyond the yellow ribbon to give back to those who serve and protect our nation. We strive to involve our community in activities that will give civilians an opportunity to express their gratitude for the sacrificial service of those who have worn the uniform, past, present, and future. Modest Needs is a national nonprofit empowering members of the general public to make one-time, emergency grants to workers and veterans who are at risk of slipping into poverty. Modest Needs is proud to support military veterans through our Homecoming Heroes Grant – a program designed to prevent our veterans from slipping into poverty as they work to make the difficult transition from overseas deployment to civilian life. The National Military Family Association has collaborated with outstanding camp partners to continue supporting military kids by providing a camp where they connect with other kids just like them. At Operation Purple Camp we embrace being “purple” and bring together military kids from all ranks and services, including National Guard and Reserve components, to a unique and memorable summer camp experience. Naval Services FamilyLine is THE source for Sea Service Spouse Mentoring. This 501c non-profit volunteer organization is dedicated to empowering all Navy, Marine Corps and Coast Guard families to meet the challenges of a military lifestyle. NSFL free training materials and programs are available to all spouses and family members around the world and have been helping families for nearly 50 years in all stages of their sea service lives. Navy Marine Corps Relief Society provides financial assistance and education, as well as other programs and services, to members of the United States Navy and Marine Corps, their eligible family members, widows, and survivors. The Society also receives and manages donated funds to administer these programs and services. The Society’s main goal is to help each person who comes to us get support for their immediate needs. Our long-term mission is to help Sailors and Marines become financially self-sufficient by learning how to better manage their personal finances and prepare for unplanned expenses. Operation First Response serves our nation’s Wounded Warriors and their families with personal and financial needs. Services are provided from the onset of injury, throughout their recovery period and along their journey from military life into the civilian world. Financial aid varies as each case is based on individual needs ranging from rent, utilities, vehicle payments, groceries, clothing, and travel expenses. A 501(c)3 non profit organization whose volunteers provide free transportation to and from airports, bus and train terminals, for all branches of the military and their families. We also provide transportation to VA hospitals and the Veterans Administration. We service the Southern California region (San Bernardino, San Diego, Riverside, Los Angeles, and Orange Counties) and hope to expand in the future. Contact us if you would like to volunteer or know of a veteran needing assistance. The mission of Operation Ward 57 is to support wounded, injured and ill service members, veterans, their caregivers and those that aid in their recovery by providing assistance and outreach in their recovery, comfort and morale, and through advocacy, education and promotion of their circumstances. Emergency financial and other assistance to the families of our service members and wounded warriors. OH provides direct services to alleviate a military family’s or individual’s actual/complete emergency financial burden, as well as counseling and/or recovery support. Our Military Kids provides grants to the children of National Guard and Military Reserve personnel who are currently deployed overseas, as well as the children of Wounded Warriors in all branches. The grants pay for participation in sports, fine arts, camps, and tutoring programs that nurture and sustain military children. After Pat Tillman died in 2004 while serving with the U.S. Army’s 75th Ranger Regiment in Afghanistan his family and friends established the Pat Tillman Foundation. The mission of the foundation is to invest in military veterans and their spouses through educational scholarships; building a diverse community of leaders committed to service to others. Through the paws4vets Assistance Dog Placement Program, Veterans, Active-Duty Service Members or their dependents with physical, neurological, psychiatric or emotional disabilities can receive Psychiatric Service Dogs, Mobility Service Dogs and Rehabilitative Assistance Dogs. Preserving and enhancing green space in our communities for today and future generations. GreenCare for Troops is a nationwide outreach program coordinated by Project EverGreen that connects local green industry professionals with men and women serving our country in the armed forces away from home. GreenCare for Troops is in the process of helping hundreds of volunteers provide free lawn and landscape services for thousands of military families nationwide. To make a difference in the lives of Healing Heroes by providing a rehabilitation experience that can impact their lives forever. The goal of Project Hero is to enhance, inspire, and challenge Healing Heroes’ rehabilitation by introducing them to Ride 2 Recovery which allows each person to set individual goals while working in a group. We will partner with the local facility staff and cadre to create a personalized and progressive cycling program that fits the needs of the patient population and will promote a fuller and quicker rehabilitation. The Rosie Network is a non-profit founded by military spouses whose mission is to promote the entrepreneurial efforts of American veteran and military spouse business owners. The talents and skills of these men and women are brought to the American public by showcasing their products and services on The RosieNetwork website. Consumers search a selected geographic area for businesses owned and operated by military spouses and veterans. The SEAL-NSW Family Foundation raises awareness and funds for special programs in direct support of the Naval Special Warfare (NSW) families on a local, national and global scale. In addition to providing emergency support to Naval Special Warfare’s service members and their families, the foundation provides family-focused programs that create a more resilient family. From the evening before a graduation ceremony to the care provided to a Gold Star Family, the foundation is with the families the entire time. With its programs, the Naval Special Warfare warrior can focus on their training and deployment with a greater sense of ease knowing that their loved ones have strong support here at home. A more resilient family creates a more resilient operator. The SEAL-NSW Family Foundation is a 501.c.3 Not for Profit organization registered with the IRS. The Semper Fi Fund provides urgently needed resources and lifetime support for combat wounded, critically ill and catastrophically injured members of the U.S. Armed Forces and their families. Case managers from the Semper Fi Fund work one-on-one with service members and veterans in order to understand and support their individual needs right now and throughout their lifetime. We keep our overhead low so our impact on the lives of service members and veterans is greater. The Semper Fi Fund has been awarded the highest ratings from watchdog groups: an A+ from CharityWatch – one of only two veteran nonprofits to receive this rating last year – and six consecutive “4-Star” ratings from Charity Navigator, an achievement attained by only 3% of rated charities. Every day, many of the men and women of the armed forces return to their families and their civilian lives. But not every one will have that chance, and the families left behind are forever changed.Snowball Express remembers those fallen heroes who will never return, and honors the supreme sacrifice their families have made. Snowball Express serves the children who will never be reunited with their mom or dad. Since 2005, STEP has been a trusted resource for this underserved population by providing a safety net of emergency financial assistance, financial planning and morale support programs that reduces stress and sets the families on a path to financial self-sufficiency. The families apply to STEP for emergency grants in a variety of categories established to meet their families’ basic and emergent critical needs. STEP’s area of responsibility (AOR) includes the seven southernmost counties in California; Ventura, Los Angeles, Orange, San Diego, Imperial, Riverside and San Bernardino. TRR is an all-volunteer organization run by a council of kayakers and overseen by a board of directors. Working in partnership with The Wounded Warrior Project and Disabled Sports USA, TRR helps veterans of the Iraq and Afghan wars recuperating at Walter Reed Army Medical Center (WRAMC) find health, healing, and new challenges through whitewater boating on the Potomac River. While the focus of TRR’s work is on soldiers recuperating at WRAMC, TRR also provides whitewater boating opportunities for family members as well as for other wounded veterans. The Mission of Penny’s from Heaven Foundation’s Train a Dog, Save a Warrior program is to unite wounded warriors, suffering with PTSD, with homeless, rescue shelter dogs, who are evaluated and deemed viable, to nurture a healing and rejuvenating bond between the two. The result is a positive, non-judgmental, unconditional relationship desperately needed by both. The Travis Manion Foundation assists our nation’s veterans and families of Fallen Heroes. We continue the service to community exemplified by these Fallen Heroes and veterans. In the spirit of the Fallen, we will foster strength of mind and body to create a generation for future leaders. We stand by the ethos of “If Not Me, Then Who…” and strive to embody the values of servant leadership, integrity, excellence and passion for what we do and whom we serve. We hope to inspire and activate everyone with the generous spirit of those who serve. The U. S. Marine Corps Reserve Toys for Tots Program collects new, unwrapped toys during October, November and December each year, and distributes those toys as Christmas gifts to less fortunate children in the community. United Through Reading offers deployed parents the opportunity to be video-recorded reading storybooks to their children which eases the stress of separation, maintains positive emotional connections and cultivates a love of reading. At nearly 200 recording locations worldwide Marines, Soldiers and Sailors, National Guard, Reservists and Airmen, can read to their children from units on ships, in tents in Afghanistan, on bases and installations around the world and at 70 USO centers worldwide. Veteran Staffing Network has a mission to provide our clients top-tier talent while simultaneously reducing veteran unemployment. We provide supportive services to prepare veterans and their spouses to become job ready. We have a wide spectrum of skill sets available to clients so we are not limited to one industry and can support client needs across business disciplines. Victory Village Amador – Amador County Veterans Organization: Our duty is to serve those who have served our great nation. To facilitate Veterans Services for our service members, veterans, and families. To streamline access to Veterans housing, employment, healthcare and training. In support of our Military and Families, we are bridging the gap from military service to civilian life. Volunteers of America Chesapeake takes great pride in doing everything possible for our nation’s veterans. While their sacrifices are too often forgotten when they return home, this shortsightedness inspires us to do even more to ease veteran’s transitions and help them find purpose in civilian life. The memorial, at the Ceremonial Entrance to Arlington National Cemetery, is the only major national memorial honoring all women who have defended America throughout history. Their patriotism and bravery are a part of our nation’s heritage and are now recognized. Visitors to the Women’s Memorial experience the collective history of women in the military along with the individual stories of registered servicewomen. Women Veterans Interactive (WVI) was created to address these kind of unique, and often unrecognized, challenges facing our nation’s 1.8 million woman veterans as they return to civilian life. WVI provides outreach and support services to more than 950 women veterans and the organization has members in 15 states. I would like to introduce the Marines Helping Marines Foundation(marineshelpingmarines.org). We are a 501(c)3 Charity that was started in Maryland in 2003 as a Marine Corps League program to provide comfort, financial, and material support to Marines and FMF Corpsmen in Iraq at the Bethesda Naval Hospital. It quickly expanded Nationally to include similar support at the Brooke Army Medical Center in San Antonio, TX; the Naval Medical Center in San Diego; and the Wounded Warrior Regiments at Camp Lejeune and Camp Pendleton. We are an “under the radar” organization run 100% by volunteers and an have 98% of all donations received going to benefit the wounded. Since the consolidation of Walter Reed and Bethesda, we support all services at WRNMMC-Bethesda. We would like to be added to your list of Charities Supporting Military Causes. If you have any questions, feel free to contact me. Thank you. My name is Rose Holland and I am responsible for the Charity Challenge and community outreach. I just saw this. I will be contacting you soon! I would like to Nominate a dear Friend’s Military Non-Profit, Military Veteran Project, as I have volunteered for her for the past 2 years & have never met a more giving, selfless Angel to Advocate & Help our Military Veterans & their Families. I would like to introduce Melissa Jarboe, Gold Star Wife & Founder of Military Veteran Project (formerly known as Jamie Jarboe Foundation. Melissa has poured her heart & soul in fulfilling her husband’s, Sgt Jamie Jarboe, dying wish to assist his Comrades & families so they will never have to experience the things that he & Melissa did during their 11 Month stay at Walter Reed where he was recovering from a Sniper wound that left him paralyzed from the chest down and would take his life after a brave fight. Melissa jumped Into this immediately using a large portion of her Life Insurance Policy to get it started. Since then in the past 2 years it has grown to National & even in other Countries, recognition and outreach. To learn more I am attaching links to the website, FB page, an article which interviewed Jamie prior to his passing and a You Tube video of an example of how Melissa & MVP has touched the lives of thousands of Military Veterans & their families! Thank you so much for your consideration & I look forward to hearing from you! I have passed your message on to Rose. Thank you for sharing Melissa’s story with us. I do not have the answer to that question, but I will dig around and see what I can find out. Thank your father for his service for me! I checked with the girls that I work with. One suggested you contact your local VFW and American Legion. I hope this helps. Let us know if you would like us to do some more research. Lee, have you gotten the Dress Blues yet??? I would love to help look with the Marines I know if you havnt…. Do you have a website for donations? I give to Wounded Warriors but they only use less than half of the funds for the warriors and am looking for another charity that does a better job. Check out our Charity Challenge page. http://milspousefest.wpengine.com/give-back-military-charities/ We have a comprehensive list of charities that may work for you. The things this organization does for Wounded Veterans like myself, and Military Brothers and Sisters are Outstanding and so important to us in the healing process!! I donate through CFC, I don’t know the process of getting on their list or even who to contact to do so, but your charity sounds like a great one. We need more like yours that help with the healing process to be available. I hope you can look into it and get on the list. I would like to introduce our group, Kidz Showing Kindness. It was started back in January, for families that wanted to get their children involved in the local community by giving back. We as a group want to instill in our children…compassion, kindness, empathy and service to others by volunteering. If we start them at an early age to love volunteering, it will become second nature for them as adults. We pick a different place to volunteer in the community each month. This organization is a family volunteer group, however each opportunity is geared for the children to do the majority of the work and the parents help their child in the task. Please take a look at our facebook page and see what we are doing in the community…https://www.facebook.com/KidzShowingKindness?ref=hl . We also have a meet up site that has detailed information on each volunteer opportunity and it’s where you join our group…http://www.meetup.com/Kidz-showing-Kindnes/ . Kidz Showing Kindness was founded by a Military Spouse at Scott AFB after she found it difficult to find volunteer opportunities for her young children. Although the group consists mostly of Military families right now…this group is open to everyone. I do not see the vote button. I have not voted before but would really like to. Please let me know how I can cast my vote. Below the total number of votes, you should see a link that says “vote”. You may only vote once and you may only choose one charity. If you have already voted then this link is no longer available to you. Good luck with this. Can we vote more than once? My mother, Lorraine R. McKenna, my aunt Estelle F. Murphy and I are all proud charter members of the Women In Military Service for America Memorial. We were Army medical people and we were proud to be in the service of helping our fellow soldiers. We send out a big Hoo-Ahh to all of our sister veterans! Thank you for your service Patti! ABOVE ★ THIS MONTH’S CONTESTANTS ★ is the place to vote. Its at the top before the list of charities. It asks Which Charity Would You Choose? I voted for my own organization but each and every one of these is deserving. Thank you to all for your service to our deserving families. Very worthwhile cause to support and document the contributions of women who’ve served our country. I AM ONE OF YOUR ORIGNAL MEMBERS . I WANT TO THANK EVERYONE THAT HELPS THE WOMEN OF THE MILITARY FOR WHAT THEY ARE / HAVE DONE FOR THEIR COUNTRY. I SERVED IN THE NAVY AND WAS PROUD TO DO SO. I voted for Women In Mililtary Service For America Memorial, but I was not able to see the result. It is important to get service women registered. The lengthy list of charities indicates great interest in helping everyone affected by some anomaly or tragedy or situation or event that causes a disruption. Clearly when receiving a call to donate it should be painfully obvious only those with substantial funds can support all of them. As a female veteran I”m partial to the women’s memorial in this case. If one had been about cancer research that would have been my choice. The other would be The Lutheran Hour. I hope that I voted for WIMSA. A little box talking about a newsletter is covering up the spot to vote for WIMSA. As a Charter member of WIMSA I am so proud to see they have won. I am from Oklahoma and belong to the HQOKWVO. I also am the designer of Oklahoma’s FLAG/BANNER that is used in all their activities. How proud can a A/2nd Class Air Force airman get??? Marion Welenz Hedrick. So proud that our history is being recorded. Women have served in many roles in all branches of the Armed Forces. My mother was a SPAR who served in WWII teaching survival swimming to Navy personnel. Very proud of her service. Please go and read the histories of the women who have served proudly for the USA. We were proud to serve! I too, am a member of the Oklahoma Women Veterans Organization of Oklahoma-Tulsa Chapter (OKWVO-TC). We are happy to highlight your history! I could not find a “vote button” – the women’s memorial is very special to me, in memory of my mom. She flew planes and received a congressional medal of honor. I wish I could vote in honor of these wonderful women. Voting ended on June 30th. Thanks for your support! There will be a new round of charities to vote on later this month. You absolutely can recommend charities. Thank you! I will pass this great information on to Rose, our Charity Challenge Coordinator. Thank you for recommending these worthy organizations. We are always on the lookout for those who help our service members, veterans and their families! Did you notice . . .Camp COPE is on our list this month. We have contacted the other two organizations. If you have a personal contact please let me know by emailing me at [email protected]. There are 2 military charities I would suggest. The first is Lone Survivor Foundation, created by retired Navy SEAL Marcus Luttrell, The Lone Survivor Foundation restores, empowers, and renews hope for our wounded warriors and their families through health, wellness, and therapeutic support. Overseas deployments and combat action can take a serious toll on everyone involved – from the men and women on the front lines to the friends and families who wait patiently for their loved ones to return home. America’s Armed Forces are asked to perform at exceptionally high standards in the most demanding circumstances and that service demands incredible sacrifice, dedication, and in some cases debilitating personal transformation. Transitioning to post-military life, whether wounded in combat or simply adjusting to the civilian sector, will often cause difficulty for the service member and his or her family. The unfortunate reality for many service members and their families is that life changes after the loved one returns home and the effects of their experiences begin to manifest in negative ways. In short, the normalcy of life prior to their service may have been lost forever. Therefore, the Lone Survivor Foundation is here to help America’s Wounded Warriors and their families adjust to the effects of their experiences and help them transition into what may be looked at as their ‘new normal’ – providing an understanding and acceptance of who they are as a person, a family, and a community. http://www.lonesurvivorfoundation.org/mission.html The next would be The Boot Campaign, The Boot Campaign is a grassroots initiative started by five women from Texas known as the Boot Girls. The campaign encourages everyone to “get their boots on” providing an easy and tangible way for Americans to show appreciation for troops, cultivate awareness of the challenges they face upon return and raise funds for military programs meeting the physical and emotional needs of our heroes. What better way to say “Thank You” to our troops than wearing a pair of boots just like theirs? Join in the growing chorus of musicians, entertainers, athletes and other celebrities and get YOUR boots on! We believe the first step in making a difference is to understand the need and to make people aware of that need. The Boot Campaign was developed to bridge the gap between American society and the warriors that protect her. The contrast of wearing combat boots with everyday clothes starts a conversation. When you put your boots on, people want to know what you’re up to! More often than not they also decide to join you. Before you know it, your act of wearing boots influences those around you to do the same. 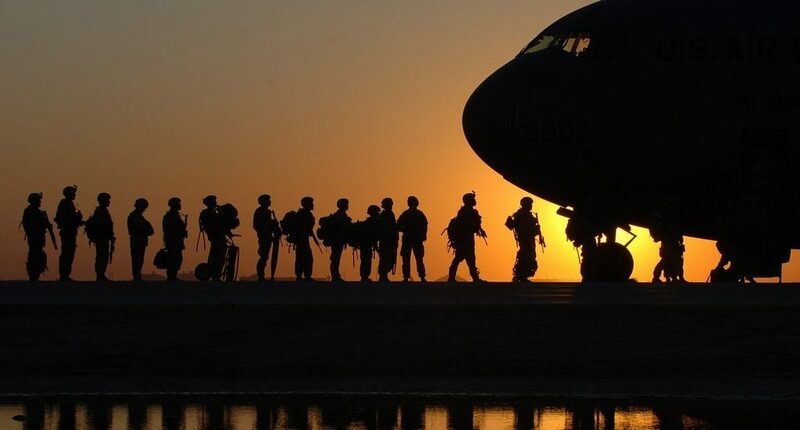 Our goal is to see 1.4 million Americans with their boots on thanking 1.4 million active duty military serving in 150 countries globally and stateside. We believe that no single organization has ability to solve the diverse and complex issues that surround our returning heroes. It is our mission to provide the funding needed for best programs available today for relevant issues. Some of those programs are through the Boot Campaign’s internal initiatives, and other charity initiatives that work hand in hand with the Boot Campaign. Proceeds from our boot sales combined with donations and corporate sponsorships help us to assist wounded military and their families with job placement, mortgage free homes, PTSD counseling, adaptive clothing and so much more. I will pass on these great ideas to our Charity Challenge Coordinator. I have contacted both organizations. If you have a point of contact for the Lone Survivor Foundation, please let me know at [email protected]. Thank you Terri! I’ve added them to my list and will be contacting them! The American Military Partners Association is not supportive of all military spouses. In fact, they are quite hateful and refuse to tell you why they do not like you if you ask any questions about the organization at all. It is really sad actually and speaks volumes as to the leadership of this soon to be irrelevant group. Sad that so many stay quiet when they are abused by these people. Robin I am sorry to hear that you had a bad experience with AMPA. I have been a memeber of the group for a while now and the only thing that I have seen initially is the lack of diversity that was shown in their pics. I have since seen this change after people voiced their concern. What was your experience with them? How do you nominate a charity for the challenge? We would like to submit “Hero’s Rock” which is a 501(c) 3 non-profit, which builds custom tribute rockers for the children of fallen heroes. Each rocker is created to honor each hero’s line of service, has etched portraits of the hero along with their service medallions and their service title engraved in the bottom. These rockers are a comforting toy for the child at their time of loss and later an heirloom to remind them of their loved one and that our nation appreciated the great sacrifice these men and woman make for their country. Please email me a point of contact at [email protected]. We do look for organizations that are 501(c)3. We also seek organizations that support our military/veterans/families or are run by military/veterans/families. I would like to recommend the charity Raising Raiders. They are a small charity that has a really specific purpose of supporting the families of Marines and Sailors of Marine Special Operations Command. They have done so much to support the families of this unit, to encourage education about PTSD and TBI as well as empowering the spouses of the unit. They will roll out an initiative next year that will provide grants to this end. Lastly, they are made up entirely of spouses of the MARSOC service members. Many of these organizations are so great and I wish some more of them had been around when I was an injured sailor in the 1970s. So I hope our current wounded warriors appreciate how all these groups are trying to help them. I would like to nominate the Yellow Ribbon Fund which helps wounded warriors and their families at Walter Reed Military Medical Center in Bethseda, MD. They have a small staff and a list of around 1,200 volunteers, including myself, who bring a lot of cheer, hope, and help. •Free hotel stays, rental cars, and cab rides for visiting family members. •Free apartments to keep families together during months or years of outpatient treatment. •Family caregiver support — we’re one of the only service organizations to offer childcare and family-oriented activities, plus stress-relieving massages, spa visits, dinners out, and more. •Social events and outings to cultural and sporting events that build confidence and offer relief from the grueling rigors of recovery. •Innovative mentoring that helps injured service members build new lives through education and career guidance. •Ongoing support after injured service members leave the hospital and return home, to ensure no one falls through the gaps. •Pro bono legal services when injured service members need an advocate to stand up for them. Thank you to everyone on this list for your service to our military, veterans, and their families. Its great to see the social change of our generation and the active involvement of servicememembers around the country and organizations like OUTSERVE-SLDN. All have tireless fought for true fairness and equality to secure our rights under this Constitution we cherish. For anyone who would like to nominate an organization, please contact me at [email protected]. Please be aware that the organization should be a 501(c)(3). I would like to introduce you to the Special Forces Charitable Trust. In addition to the web site at there is info at . Please consider the SFCT as a possible recipient for one of your monthly donations. The US Army Special Forces (SF) soldiers are a special breed; highly trained, fiercely proud, and quietly effective. They are the unsung heroes of the past and today’s diplomatic warriors in the war on terror. Masters in conducting training and operations with indigenous forces they conduct the majority of special operations counterinsurgency missions in Afghanistan and Iraq. In cooperation with the Special Forces Association (SFA), a 9,500+ member 501 c (19) fraternal organization, and through active engagement with the Special Forces Command the Special Forces Charitable Trust (SFCT) provides programs to meet the most pressing needs of SF soldiers (past, present, future) and their families. SFCT programs include scholarships for SF family members; Vietnam Veteran’s assistance; job transition programs; and family support services. The Trust’s Board of Directors includes prominent and influential former Special Forces personnel, business and community leaders who are committed to building a sustainable charity in support of our mission of providing service, support and advocacy for Green Berets and their families. Together, they are providing the leadership and expertise in guiding our programs and the accountability expected by our donors and sponsors. Questions can be directed to Mr. David Guernsey, Executive Director, at (860) 7671510. Thank you for your interest in being a part of the Military One Click Charity Challenge. We have been in contact with Mr. Guernsey. Feel free to contact me with any questions. I can be reached via email at [email protected]. I am glad I stumbled accross your blog. Very timely, I will be coming back often. Have you guys looked at TADSAW? There is a ton of great information on this site. Keep up the great work! We’re a gaggle of volunteers and starting a brand new scheme in our community. Your website provided us with useful info to work on. You’ve done a formidable activity and our entire community will be grateful to you. Warrior Wigs is a grassroots charity focused on providing customized wigs to military members and their dependents currently undergoing cancer treatment. We are a group of NYC based stylists wih a passion for giving back to our military community. We have seen firsthand the power of a great cut and color on one’s confidence and spirit and want to be aw to provide that gift to those that fight for our freedom! I’d like to make you aware of a new charity providing complementary care therapies for military service men and women, and their families. The first clinic has opened in Colorado, with plans to expand throughout the state and the country. Healing Warriors Program is a 501(c)3 non-profit organization offering clinic services to our service members and their families for pain and PTS symptoms. Our mission is to advance individual well-being for Veterans and their families through evidence-based complementary care services and education. Our Vision: To champion the use of Complementary Care Services. Healing Warriors Program is a registered VA vendor. Hello! Would you please list our Homecoming Heroes Grant as a resource for veterans? Our nonprofit is http://www.modestneeds.org and we have a special one-time grant program to help transitioning vets get on their feet as they re-acclimate to civilian life. This is not a loan program; donors crowd-fund requests and grants are given freely with no strings attached. Modest Needs has been awarded the BBB Wise Giving Alliance’s ‘Seal of Approval’ in recognition of its operational integrity and is the recipient of ‘Great Non–Profits’ 2013 ‘Top Rated’ award. Thank you! If you have any questions please call me at (518) 489-2427. I will pass your information along to our founder, Jennifer Pilcher. Thank you for reaching out to MilitaryOneClick. I’d like to add the Texas State Guard’s “Young Heroes of the Guard” annual holiday toy drive to the list. Each year we purchase and collect thousands of toys statewide and distribute them to local children’s hospitals, for sick and injured children to have nice new toys to play with to take their mind off of their pain and suffering. The look in their eyes when they see the new toys is worth all of the effort! I will pass this on to Rose. She is in charge of everything “charity challenge”. I am a service connected female Vietnam Era Veteran. I had a devastating house fire on 1/13/2014. that left me displaced. My house is still uninhabitable after 11 months. I am currently living in a VA house in Rocky Hill, Ct. The insurance company has not completed my claim and will not cover all of the damages from the fire due to the depreciation’s . So, I need to find other resources that are available ; to help me get my house repaired so I can move back into my house. I am sorry to hear about your house fire. I can’t imagine how hard that must be. Please see our Charity Challenge page. You may find some great organizations there. http://milspousefest.wpengine.com/give-back-military-charities/#charities. FYI…for the current challenge between AER and NMCRS, the websites are reversed. Could be a bit confusing for folks. A lot of very frustrated Army voters out there. I’m the Comms Chief for AER, and I’m getting emails from lots of folks saying the site is not allowing them to vote…period. (and yes, it’s clear only one vote per day!) One of those is my wife. What’s up? My inbox is starting to fill up with upset folks…who are trying to make a difference! Helping Hometown Heroes‘ goal is to assist recuperating military men and women while adjusting from their military lives to civilian life. We are dedicated in helping our wounded warriors and veterans returning from Iraq and Afghanistan with rehabilitation, transportation, and support to families and their support system of wounded warriors including those with IED and loss of limb injuries. We will assist in the modification of housing accommodate disabled veterans, aide wounded warriors and support families of our military men and women upon returning from war. I would like to introduce our non-profit organization Freedom Day USA. Businesses from across the USA have partnered to bring our Active Military and their Immediate Family, along with our VETERANS the Nation’s Biggest Thank You Appreciation Event! It’s our way of saying “Thank You” for providing and protecting our Freedoms. Businesses will show our appreciation to U.S. Military Forces by providing free goods and services. We have businesses from dental offices giving FREE dental work, to hairdressers giving a FREE haircut. Starbucks might offer a free cup of coffee, and an auto shop might offer 10% off an oil change or alignment. There are many different businesses that participate and millions of free goods and services given. We Salute our Men and Women in Uniform as they have given us the gift of Freedom. We do have 501 C status. We are solely funded by our National Committee, all donations go toward event efforts and promotion of Freedom Day USA! This is event is held on the second Thursday of each September and this year will be on September 10, 2015! Thank you for reaching out to MilitaryOneClick. I am passing on your information to our charity challenge coordinator. Hello! I would like to nominate the SEAL-Naval Special Warfare Family Foundation. They have been in existence since 2009. They support US Navy SEALs and their families, and the Naval Special Warfare Community. I am both a military spouse and work for the Foundation. I can speak to the legitimacy of the foundation because it supports my family on both angles, personally and professionally. The Foundation is doing amazing things to support families and active duty special forces. We have a plethora of programs directed towards supporting the service member, NSW children, acute and immediate needs, spouses, Gold Star families, SEAL and SWCC graduates, and much more! Please contact me or check our site to see what amazing things we’re doing to support our families, service members and national security. I look forward to hearing from you. Happy New Year and warmest wishes to a new 2015! Great things ahead! This is great! I will pass it on to our charity challenge coordinator, Rose. Thank you for reaching out to MOC. I would like to nominate Marine Corps League , Mitchell Paige Detachment 1207 . The detachment is extremely active in many community, military and veteran functions. 1)They collect donated furniture on a continuous basis and to date have assisted over 3,957 families with their furniture and household needs. 2) They support “Freedom Station”. 3) They are the largest collector of toys in the county for the “Toy fo Tots Program”. 4) They collect medical power chairs and give to the military and veterans. 5) They have not missed a single military homecoming and provide a flag detail . I have passed your comment on to our Charity Challenge Coordinator. The captcha in your contact section is not working. How do we get listed on your site as we have started a foundation to assist college students with financial aide who have a parent killed or maimed while serving our country. Thanks for reaching out. I received your email. I will be in touch. WoW! Wouldn’t it be amazing if you could find him? We are not in a position to help you locate him, but getting his information out there is a great start. Might I suggest pushing his info out over social media like crazy! You never know who might see it. I was wondering if there was any programs that assist a veteran with getting a vehicle. Thanks so much!! I’d like to “nominate” a charity? Is there a Charity Challenge Coordinator I should be writing to ? If so, what is her email address? Yes ma’am. You can reach out to [email protected] and she will be happy to help you. Thanks for reaching out to MOC. Good morning- if someone from your organization can please reach out to me I would greatly appreciate it. I am the President of the Bob Feller Act of Valor Award Foundation. My cell number is below. We are having an event on Thursday May 21st 2015 in NYC and would like to know if your organization would like to set up a booth free of charge to help educate the public and tell your story of who your organization is. Tommy Lasorda and Anne Feller will be joining us. If you could please reach out to me at my number below (cell phone is best) I would greatly appreciate it. If you can go to our website please do so at http://www.actofvaloraward.org you will get a better understanding of who we are . I will pass this information on to our founder, Jennifer Pilcher. In the mean time, I will add your event to our calendar. I see postings to donate, I need help. Where do I go? I’m about one and a half months from being homeless. The page you are viewing, http://milspousefest.wpengine.com/give-back-military-charities/#charities, is the best page that I can direct you to. Dig into some of these advocacy groups. There may just be one there that can help. My name is Jeffery Brian Bahry. I am a 52 yr. old inventor / innovator / problem solver / mechanic of all transportation and more. I want to make a large donation to Military Charities. The U.S. government is NOT allowing me to do so. Perhaps your organization would wish to assist me with this matter. Please reach out to our founder, Jennifer Pilcher, at [email protected]click.com. Hello, we are inquiring about being a part of your Give Back:Military Focused Charities. We are a 501(c)(3) based out of Texas. We are a small, all volunteer board who focuses on making a significant impact in one severely injured veterans life a year. We have, to date, helped SSGT Travis Mills, SGT Jordan Folmar, SSGT Marcus Burleson and SGT Omar Milan. Please send any questions you have to Rose, [email protected]. She is in charge of everything “charity”.